Say what you want about Suicide Squad—and trust us, we have—but it’s hard to deny the appeal of Margot Robbie’s Harley Quinn. She steals every scene she’s in, and not just because of her psycho clown outfit. 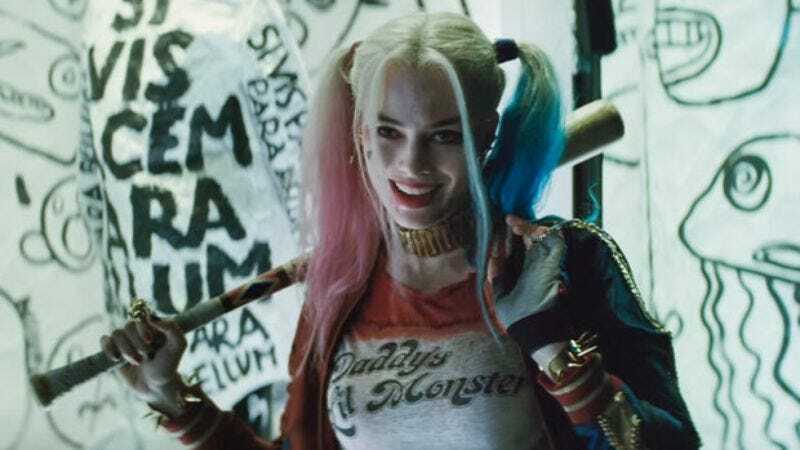 Executives at Warner Bros. apparently agree, and are betting that Robbie’s charisma is enough to carry a standalone Harley Quinn movie that was first proposed back in May. In fact, they’re betting that Robbie’s charisma will be enough to carry several movies, and have signed the actress to a presumably lucrative first-look deal with the studio. But the deal goes beyond allowing Robbie—to quote Ghostbusters—to choose the form of her destructor by having her pick of scripts that will be turned into movies where she’ll be shamelessly objectified. She’ll also be producing those movies, giving her an opportunity to pursue roles that will maybe go a bit lighter on the whole shameless objectification thing. (At the very least, she’ll be making more money off of being objectified.) She’ll be executive producing as well as starring in that standalone Harley Quinn movie, for starters, and is set to star in a movie called Queen Of The Air, based on Dean N. Jensen’s book about the torrid love affair between trapeze artists Lillian Leitzel and Alfredo Codona in the early 20th century. And those are just the Warner Bros. projects: Her production company, LuckyChap, has three more projects in the works—a neo-noir spy thriller called Terminal, the Tonya Harding biopic I,Tonya, and something called Bad Monkeys, which is still in very early stages but will probably star Robbie, as all the other movies she’s producing currently do. She’s about to become even more powerful in Hollywood, in other words.